This is an simple BarCode + Email app published under my client’s name. 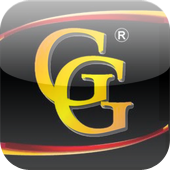 This app is to make purchasing easier and faster for people who are interested in Grand General Accessories products. The users will be able to submit their requests directly to Grand General via their iPhones/iPad and receive a response from the company quickly. This is not only an app but also a simple and efficient communication tool for the users and Grand General. The features contains Grand General’s barcode verifying and scanning, application form, login access control and email the content in a format for in-house system, etc. This is Part One of a Daily Devotion on The Great Commandment, based on the book love every day. Tim Keller has said that our sinfulness is far worse than we ever could imagine, and that God’s love is far more than we ever dared hope. And Christians for millennia have affirmed no better way to learn these truths — and many others besides — than to love God with all our heart and soul and mind and strength. This App helps you do just that. By love we discover the depths and the heights at the same time. And a course there’s that loving God part, as well. Which is pretty good all by itself. iPad App . Language: English . This is an easy-to-follow guided meditation to relax your mind and body. The narrator has a soft, calming voice that gently takes you through each meditation, stage-by-stage, and makes the whole process fairly simple. Dr Hsu Weekly Speeches . 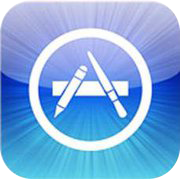 iPhone App . Language: Chinese . 許醫師星期講座: 這是一系列許添盛醫師的公益身心靈講座, 活用賽斯心法, 來面對生活上的許多事件或是身體的疾病, 有助於提升我們的生活品質.